Rare find! 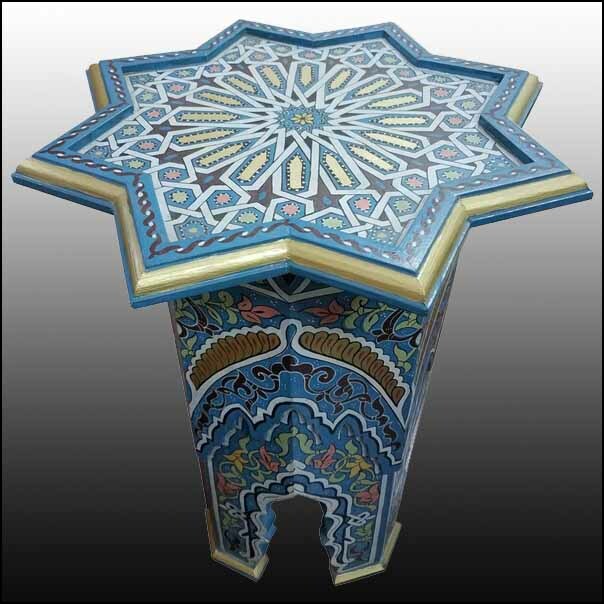 Carved and 100% hand-painted Moroccan star shape side table. Amazing carving around the side and hand painting throughout the entire table. Beautiful add-on to your décor. This table measures approximately 21″ in height, 18″ in diameter. Two available in stock. Please contact us if you have any questions, or for a shipping quote. More pictures upon request.